In a world that had quickly grasped hold of instant communication via text messaging and social media I encourage you to slow down, pick up a piece of paper, a pen and write someone a note. It doesn't have to be a long and lengthy letter; a few short words let's someone know you were thinking about them and that you care. This type of love is needed in a big way. It reminds others that they aren't alone and brings a ray of sunshine to their day. Written to someone you know or even to an unsuspecting stranger your words hold value and bring joy. I invite you to join the Love Notes Revolution! Open your heart and share some snail mail love today! Because sending and receiving snail mail is not a thing of the past, but something you can do to bring a bit of sunshine to someone's mailbox. 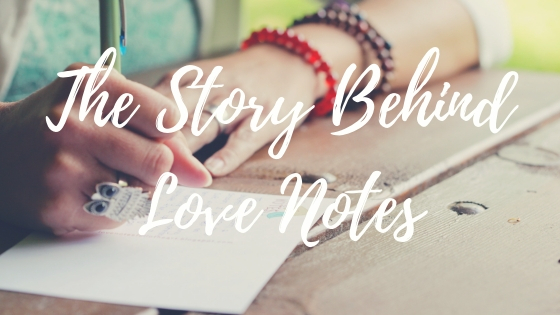 Because random acts of kindness matter, and they can come in the form of handwritten notes sent in the mail as a divine surprise. Because behind every idea there is a story of how it came to be. I invite you to learn more about how this project was unearthed. "Love Notes has opened up my heart and mind to just love more. Even though I may never meet the people I write to it just brings me such joy. I really love the love notes fairy too. I just keep sending notes of love. I know myself how I feel when I get love mail and I cannot imagine if you are struggling how uplifting it would be to receive love notes. You are such an inspiration and you are so loved. Thank you Jennifer for all you do."